The National Security Agency is compensating for the expiration of its power to collect the American people’s personal information by logging on to Facebook, the agency confirmed on Monday. She comes from a wealthy, conservative family outside Boston. Her educational background is in art and social theory—she has a degree from the New School, in New York, where she was influenced by the cinéma-vérité documentaries of the Maysles brothers, D. A. Pennebaker, and Frederick Wiseman. She had already made one full-length documentary, “Flag Wars,” about the conflict between gay and black residents of a gentrifying neighborhood in Columbus, Ohio. It won several awards and taught her that there was nothing she’d “rather do than be behind the camera with people, in real time, confronting life decisions. She moved to Berlin in the fall of 2012, after years of being repeatedly stopped at airports by U.S. Customs and Border Protection agents. (She thought it might have something to do with a film about Iraq that she released in 2006.) Prenzlauer Berg, where Poitras has her studio, is Berlin’s Williamsburg; the coffee shops are upscale and have play areas inside. The neighborhood has become the center of the German capital’s small community of surveillance expats. 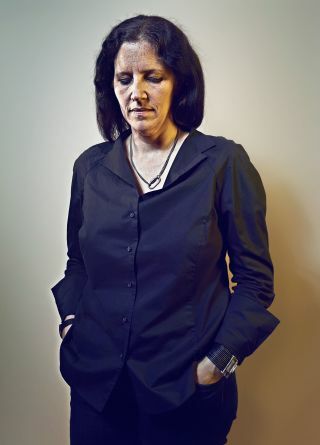 Snowden urged her to find a collaborator for publishing the documents, which were complex and voluminous, and she agreed to do so. She didn’t care about sharing, or even losing, a scoop—the documents were a print story. She was interested in Snowden. She wanted to know what drove him to risk everything. “Unlike my previous films, this was somebody I had built a dialogue with, and wanted to meet,” she told me. “Because I cared.” In May, 2013, Poitras flew to New York and awaited word from Snowden, who told her to meet him in Hong Kong. 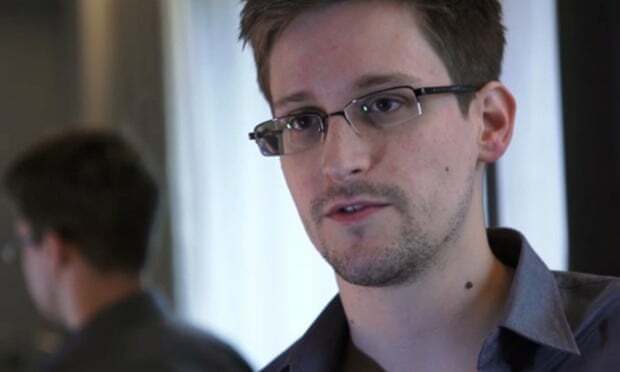 Snowden said mass surveillance had not stopped the Sydney siege, the Boston marathon bombings or the attack on the Charlie Hebdo magazine in France. Snowden said governments needed to cooperate to avoid a world “where we choose between surveillance and security”. He also criticised Australia’s attorney general, George Brandis, claiming he “doesn’t even know what metadata is”, and said people who say they don’t worry about their privacy because they have nothing to hide “is like saying I don’t care about free speech because I have nothing to say”. The Snowden Archive is the result of a research collaboration between Canadian Journalists for Free Expression (CJFE) and the Politics of Surveillance Project at the Faculty of Information at the University of Toronto. Partners and supporters of this initiative include the Surveillance Studies Centre, Queen’s University; the Digital Curation Institute, Faculty of Information, University of Toronto; and the Centre for Free Expression, Faculty of Communications and Design, Ryerson University. One of the most shocking parts of the recently discovered spying network Equation Group is its mysterious module designed to reprogram or reflash a computer hard drive’s firmware with malicious code. The Kaspersky researchers who uncovered this said its ability to subvert hard drive firmware—the guts of any computer—“surpasses anything else” they had ever seen. Kaspersky has so far uncovered 500 victims of the Equation Group, but only five of these had the firmware-flashing module on their systems. The Trojanized firmware lets attackers stay on the system even through software updates. If a victim, thinking his or her computer is infected, wipes the computer’s operating system and reinstalls it to eliminate any malicious code, the malicious firmware code remains untouched. It can then reach out to the command server to restore all of the other malicious components that got wiped from the system.